From bouldering basics in Brighton to sport climbing in the Dolomites, these workshops will develop your skills and challenge your fitness, whatever your starting point. Climbing – whether you’re using fixed ropes or bouldering – can be as sociable or individual as you want, but the opportunity to mix with likeminded people is definitely among our best motivations for rocking up to a wall. That’s why we’ve compiled this breakdown of some of the best climbing and bouldering classes and workshops across the country (and one in Italy we just had to include). They’re opportunities to get hands-on experience under the tuition of expert climbers and movement specialists, whether you’re a complete beginner or looking to hone your skills. From top-lining in the Peaks to Ninja Warrior in London, no two sessions are the same. The Castle is one of London’s foremost bouldering gyms and runs this beginner’s workshop from its extravagant home in Stoke Newington. For an hour and a half one Thursday a month, the experts behind the phenomenally impressive Castle will teach you the basics of bouldering, from movement strategies to spotting a partner. DATES: 22/02, then one Thursday a month. Based in Sheffield, The Foundry aims to expand their members’ abilities with some climbing specific fitness classes, held over an eight week period. Don’t baulk at the mention of ‘fitness’, though – this workshop is very much focused on climbing ability and the skills needed to improve. Expect mobility exercises, specific strength training and individual feedback. In the rugged limestone terrain of Northumberland, Adventure Training North East (ATNE) are leading outdoor bouldering workshops alongside Climb Newcastle, and their array of expert coaches. Trying your hand – quite literally – at actual rock rather than an indoor wall is a whole different experience, but for most climbers it’s the whole reason they get involved. With ATNE, you can hire all the equipment you need, too. In their flagship ‘Building One’ facility in Bermondsey, The Arch have teamed up with movement specialists to develop climbing skills in a bold new way. Jacob Peregrine-Wheeler, a contestant on Ninja Warrior UK and free-running coach, leads sessions designed to foster more natural, full-body movement around and across obstacles. 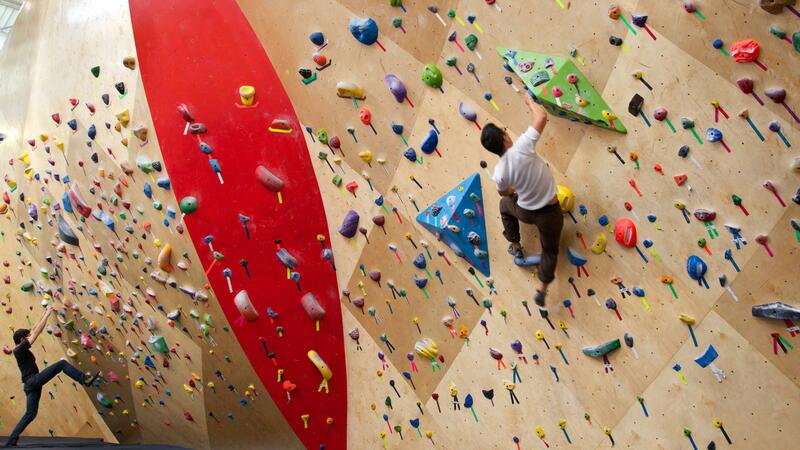 Not only will you improve as a climber, you’ll have a whole load of fun doing it. DATES: 12/02, then every Monday evening. British bouldering champion Shauna Coxsey trains at The Climbing Works, which should tell you everything you need to know about this specialist bouldering facility. It’s not just for elites, though – these weekly sessions work on an eight week programme designed to introduce the basics of bouldering, from movement and balance to route reading and holds. DATES: 11/02 and 12/02, then every Sunday morning and Monday evening. A two-day course in the craggy hills of the Peak District, this rock climbing course teaches the basics across a wide range of rock types, utilising fixed rope ascents and more technical sections. Peak Mountaineering advertise this course as perfect for indoor climbers wanting to transition to the outdoors – if you’re ready to make the leap, these are the guys to catch you. For climbers looking to take their skills to the next level, this casual coaching session at Climb Newcastle could be perfect. Every Wednesday evening, an expert coach drops by to give free advice to anyone needing it – you don’t need to book or pay extra for the privilege. Beyond the tuition, you’ll meet other climbers to swap stories and climb with, all amidst a range of technical routes and problems. If you’re in the North East, it’s worth checking out. DATES: 14/02, then every Wednesday evening. The Arch, in London, is back on our list with another innovative class designed to boost climbing fitness in an alternative, challenging way: handstands. To complement pulling prowess, Guillermo Justel – handstand extraordinaire – leads a monthly class focused on pushing power, balance development and conditioning. Yet another example of how climbing complements other aspects of fitness. DATES: 09/03, then once a month. One for those climbers who really to improve their game under the finest tuition. This three-day workshop in the Italian Dolomites is led by Louis Parkinson, an ex-GB Bouldering Team Member, followed by a sport climbing workshop. The astounding location combined with expert coaching provides an incredible opportunity to advance your climbing technique, with some unforgettable memories to boot. The Rock Start sessions at this climbing wall in Brighton are a great way to learn the ropes (pun intended) in a casual, friendly environment. Working in small groups with a top instructor, you’ll ascend a variety of wall types at your own pace, with High Sports providing all the equipment needed. From there, you can book one-to-one tuition to progress even faster or stick with the group setting. DATES: 13/02, then every Tuesday at 19:30-21:00.